While short breaks are a great time to enjoy a good BO2 variant, its bigger sibling, BO3 is suitable for longer durations that you may find, like when you’re traveling or have some friends over on the weekend. The rules are just like BO2’s, except that there are three rounds to be played between two or more players. A tie-breaker is the fourth round. However, in case in the first two rounds itself there’s a difference of more than 80 points between two players, then the player with the lowest score is declared winner, and the third round is effectively nullified. For those days-on-end periods when you have absolutely nothing planned out, try the 201 Pool Rummy. Again, the goal is to end up with the lowest score and be declared winner. The winner needs to have a pure sequence, i.e. one with no Joker or wild card, and another sequence that could contain a Joker or wild card. The player who hits a score of 201 gets eliminated. Correctly arranged cards and a valid show earn a player 0 points. The rest of the players’ total score is calculated by adding up the values of their cards that do not form a valid set or sequence. This rummy variant has the option of re-joining if the score of the remaining players is less than 174. If you reach the saturation point of playing regular rummy, there’s an ultimate option: tourneys. 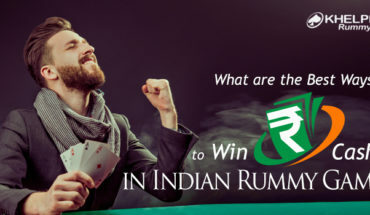 Many Indian sites are dedicated to rummy games, including tournaments, where you can play for real cash and win loads of money. If you’re confident of your skills and knowledge of the game, get on these sites and check out their tournaments and choose the one that most suits your time and convenience. Khelplayrummy.com is one such credible rummy site that has exciting tourneys held every day, along with other options such as Fortune Tournament, Entry Tournament, and Crazy Tournament. Log onto the site and check these out for yourself. Hopefully, these suggestions will be helpful the next time you find yourself idling away time. Just make sure to get on-board a few friends or log onto KhelPlay rummy to play exciting games with other rummy opponents.